With over 5,300 animals representing over 760 species, the Toledo Zoo is one of the world’s most complete zoos— it’s also the region’s top family destination! 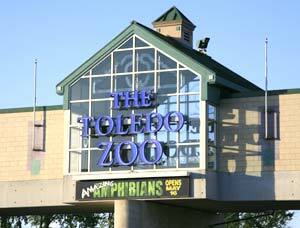 Let The Toledo Zoo take you from the Arctic tundra to the wilds of Africa, from the tropical rainforest to the Sonoran Desert and all points between—all in one great day. The Toledo Zoo is also at the forefront of many conservation efforts, working to preserve endangered and threatened species from butterflies and birds to crocodiles and elephants. Fully accredited by the Association of Zoos and Aquariums (AZA), The Toledo Zoo participates in dozens of important breeding programs that are helping to ensure a future for some truly amazing species.